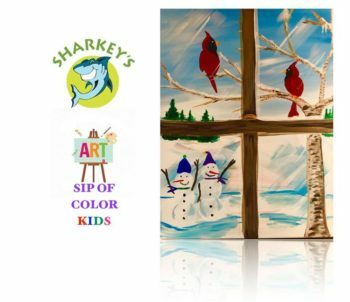 Join us for a Family Friendly Kids PAINT & PIZZA event Saturday, January 26th, 2019 from Noon- 1:30 p.m. at Sharkey’s Banquet & Event Center in the private banquet room. 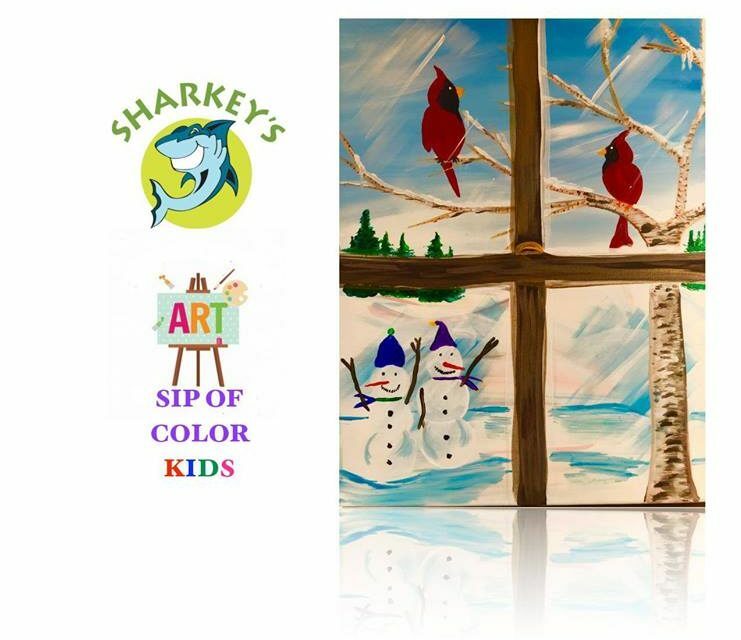 * Parent, Grandparent or Adult required to stay in the restaurant (not required to, but welcome to paint) Please enjoy your own lunch with spouse or friends in the restaurant while we entertain your child(ren). With guided instruction from Art Teacher Miss Kate, we will paint Winter Window. $25 Painter includes all materials, guided step-by-step instruction and a hot pizza lunch. $20.00 per painter when registering 2 or more! ** Please text/call 315-800-9194 with name, your email and number of tickets and we will send an invoice for multiples.